A proposed bill that would change the funding mechanism for the planned Mid-Currituck Bridge and Cape Fear Skyway may be giving proponents the jitters, but even if the bill passes, the projects are not necessarily doomed. An amendment to House Bill 10 would lift dedicated “gap” funds and place the bridges in the funding mix to compete with other projects in the division. State Rep. Bob Steinburg, R-Chowan, said he is confident that 7-mile bridge between the Currituck mainland and Corolla will survive the legislative churn. “The project wouldn’t be dead,” Steinburg said. To nab construction dollars, the bridge would have to rank high among top-priority highway projects under the state transportation department’s Transportation Improvement Program. It would, however, be prioritized according to a list of criteria that include job creation and health and safety concerns. Steinburg said that has had assurances by Tony Tata, the state Secretary of Transportation, on the fate of the bridge. 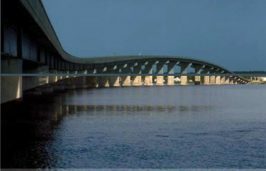 But Steinburg conceded that if costs for the bridge are revised upward, the state Department of Transportation may not look as kindly on the Currituck span. In the works for nearly 30 years, the $660 million project would trim an hour off the drive from Virginia to Corolla and address traffic congestion that routinely clogs the roads leading to the northern Outer Banks, stretching from U.S. 158 north of the Wright Memorial Bridge through Kitty Hawk and Southern Shores to N.C. 12 through Duck to Corolla. Even local residents who live off back roads winding through residential neighborhoods can’t escape the weekend traffic because GPS-enabled maps direct tourists to the alternate routes. 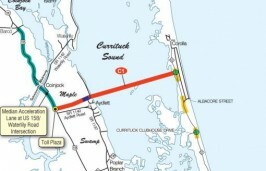 Peter Bishop, the director of economic development for Currituck County, said that traffic has become the No. 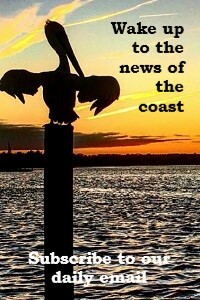 1 complaint with visitors to the Outer Banks. On a summer weekend, what should be a 1.5-hour trip from Moyock can turn into four or more hours. When Hurricanes Irene and Sandy closed N.C. 12 to Hatteras, he said, the traffic got heavier when Hatteras vacationers who were diverted to the north. 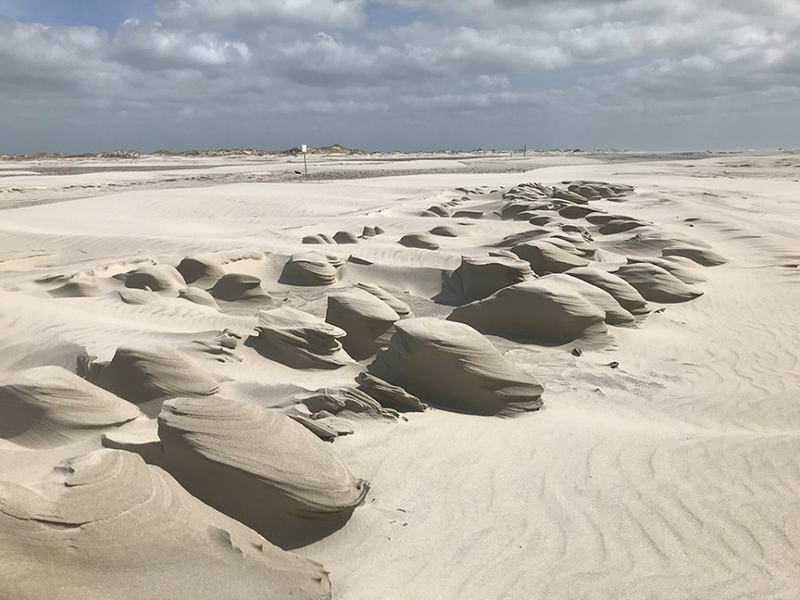 And with the beaches in New York and New Jersey still severely damaged from Sandy, Bishop said he expects that Corolla will have more visitors this summer, making the traffic even worse. But there is growing concern that traffic congestion, already a challenge in hurricane evacuation, will make tourists go somewhere else. Traffic counts are important in determining how the bridge ranks with other competing road projects. Road congestion counts for 20 percent of a project’s score. The higher the traffic count, the higher the project scores. Improving road safety counts another 10 percent. The state looks at crash rates on the highway; the more accidents, the higher the points. Road conditions, time savings for drivers, and economic benefits to the region are factored as well. Considering the value of tourism to the Outer Banks and the state, he said, the Mid-Currituck Bridge is an economic and safety necessity. It would speed up hurricane evacuation times, increase employment opportunities on both sides of the bridge, decrease commuting time for seasonal workers, and vastly improve the travel experience for tourists. Tourism revenue in North Carolina in 2011 exceeded $18.4 billion, providing about 188,000 jobs and $4.18 billion in wages, according to the state Commerce Department. On the barrier islands in Currituck, Dare and Hyde counties, tourism accounts for 5.6 percent of the state’s entire tourism economy. With annual visitation of about 8 million, the Outer Banks represents $1.03 billion in visitor spending, 13,200 jobs, $203.7 million in local payrolls and about $1 billion in tax revenue for local communities. 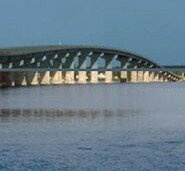 Steinburg said that the Mid-Currituck Bridge would also play an important role in creating a new economic engine he is proposing for the northeast corner of the state, which has lost many jobs in regional industries such as manufacturing, fishing, lumber and agriculture. A bill Steinburg has recently introduced would use the Port of Norfolk to foster enterprises in counties located within 1 ½-hours from the port that could be become part of the foreign trade market. He said the initiative could open up the region to economic development, and the bridge is an essential component. “I am very excited about the potential we have in northeastern North Carolina,” he said. On March 6, state Sen. Bill Rabon, R-Brunswick, sponsored an amendment to House Bill 10 that would remove the designated funds for the three proposed toll projects, including the Garden Parkway near Charlotte, and make them compete with other transportation projects. Rabon said that the amendment, which has been approved by the Senate Transportation Committee and the Senate, would prevent politics from influencing road projects. The amended House bill passed the Senate but has yet to be taken up by the House. Whatever the outcome of the Rabon bill, said Nicole Meister, a DOT spokesperson, the projects would not be slated for elimination as some fear. Like any other transportation project, they would be ranked in priority on five-year and 10-year state transportation plans for each of the state divisions. And even if a project does not rank high, she said, it would go back into the priority process for future consideration. Meister said that the proposed bill does not remove the possibility of tolling. But instead of being the main approach to funding the projects, tolling would one of the options considered in funding. “It gives it more flexibility,” she said. The proposed Cape Fear Skyway between New Hanover and Brunswick counties is also necessary to alleviate traffic congestion on the Cape Fear Memorial Bridge and to provide southern access to the Port of Wilmington, said Laura Padgett, chairwoman of the Wilmington Urban Area Metropolitan Planning Organization. The proposed 9.5-mile project, which crosses about 1,200 feet of river, would connect the U.S. 17 bypass in Brunswick County to U.S. 421 near Wilmington. But the $1 billion cost has raised some eyebrows. Padgett said costs range from $700 million to $1.1 billion, depending on how it is funded, whether or not it is toll project and whether the financing cost is included. Although the 44-year-old Cape Fear Memorial Bridge is due for replacement, Padgett does not see the Skyway project, which would be a cable stayed bridge, as a replacement for that lift bridge. The Isabel Holmes Bridge, another lift bridge, also crosses the Cape Fear River to north of downtown Wilmington. Traffic crossing the Memorial Bridge on peak days can be as high as 100,000 vehicles, Padgett said, with frequent backups at rush hour and during summer and holiday weekends. The Skyway would improve access to the port, and would speed up evacuation before hurricanes as well as emergency evacuation from the area near Progress Energy’s Brunswick Nuclear Plant in Southport. “It’s a safety issue,” she said. At the request of the Metropolitan Planning Organization, DOT has agreed to reopen the Environmental Impact Statement for the Skyway project. Padgett said the plan will determine the best route and whether the project is feasible. The environmental statement is expected to be completed by 2016, she said. The project is estimated to take about five years to construct. Padgett said that most people seem to understand that the Skyway project is necessary.